Designed for all year round use by the regular or dedicated outdoor enthusiast . 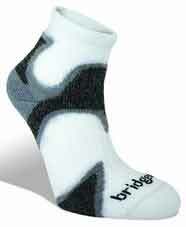 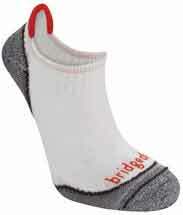 Unique Bridgedale construction ensures dry, warm and comfortable feet. 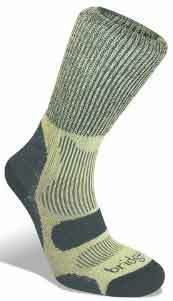 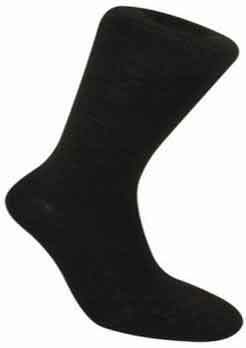 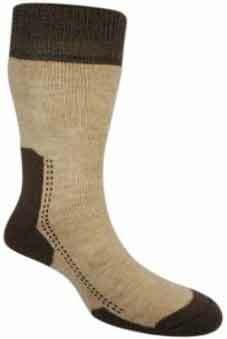 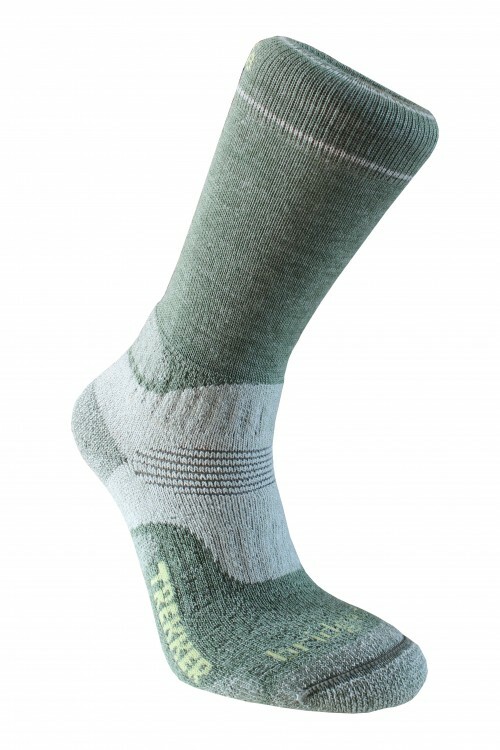 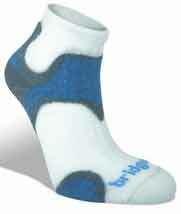 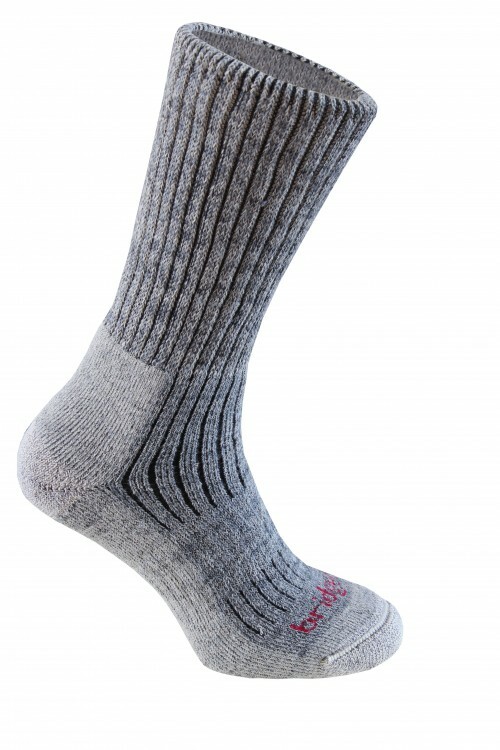 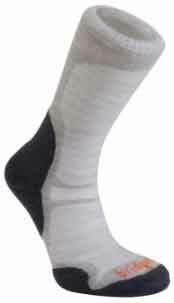 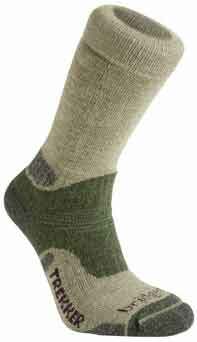 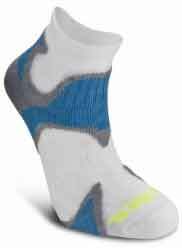 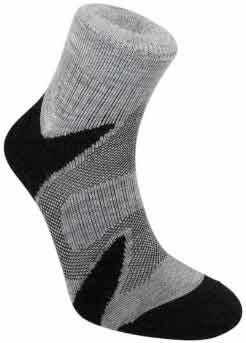 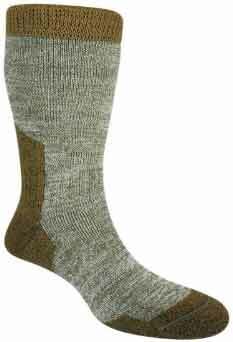 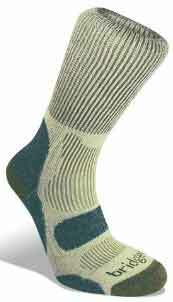 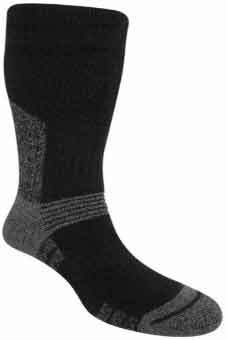 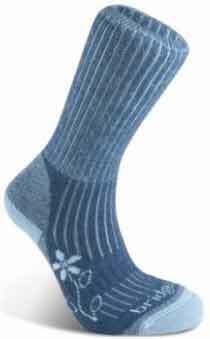 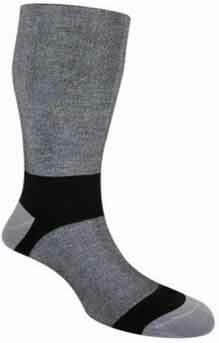 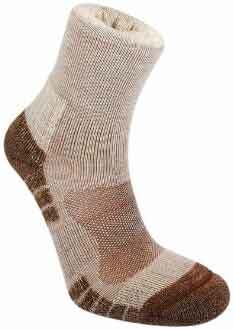 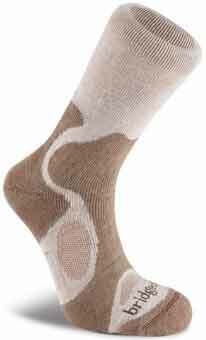 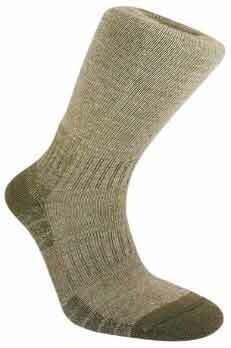 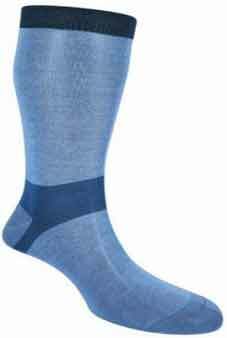 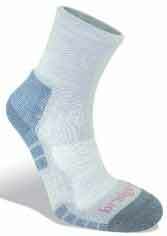 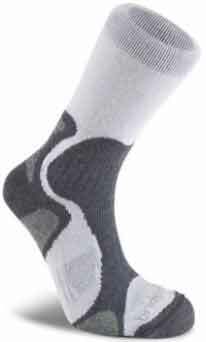 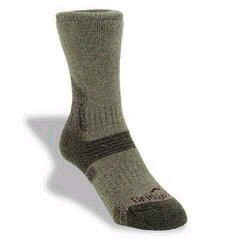 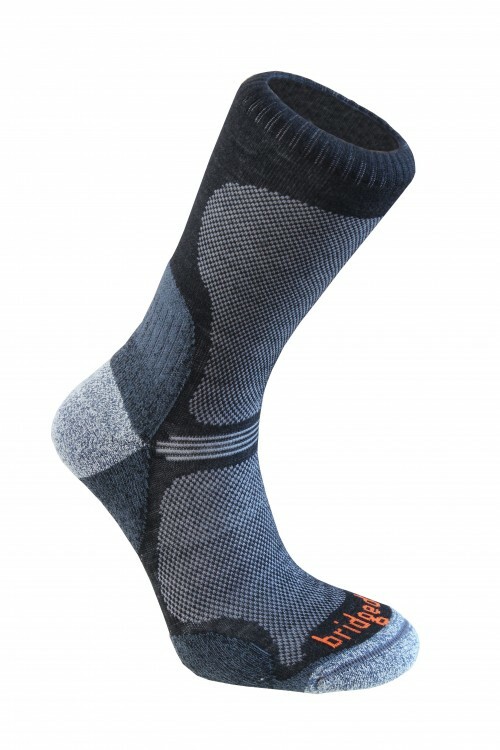 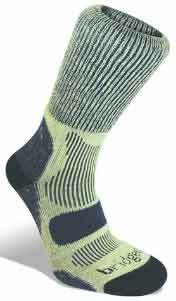 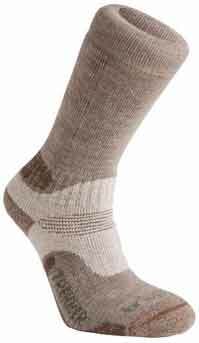 Lightweight sock designed for lightweight footwear - everyday activities, day-hiking or warm weather trekking. 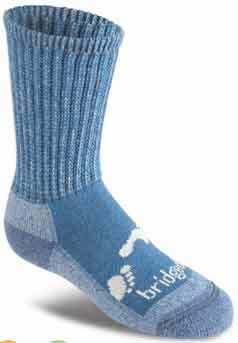 Bridgedale construction ensures dry comfortable feet both on- and off-trail. •Single padding underfoot, plain above. 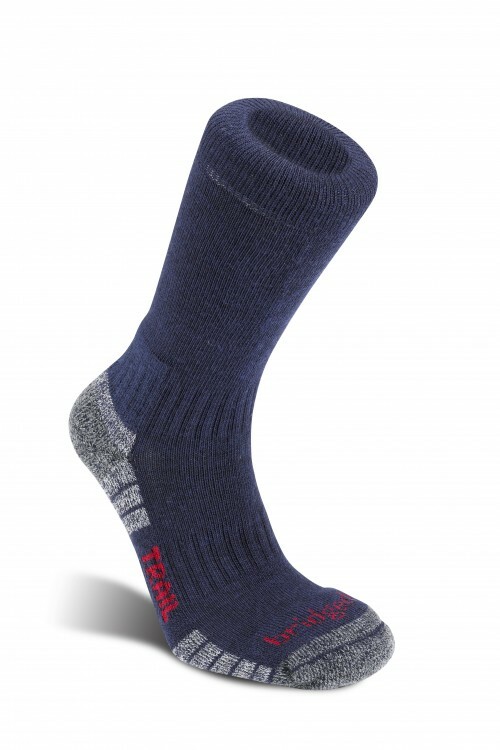 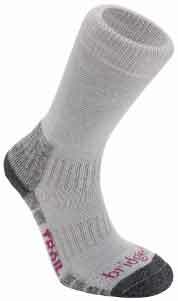 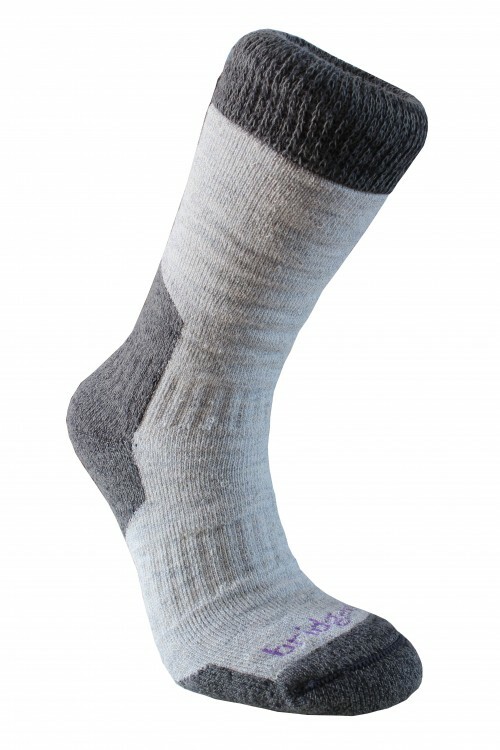 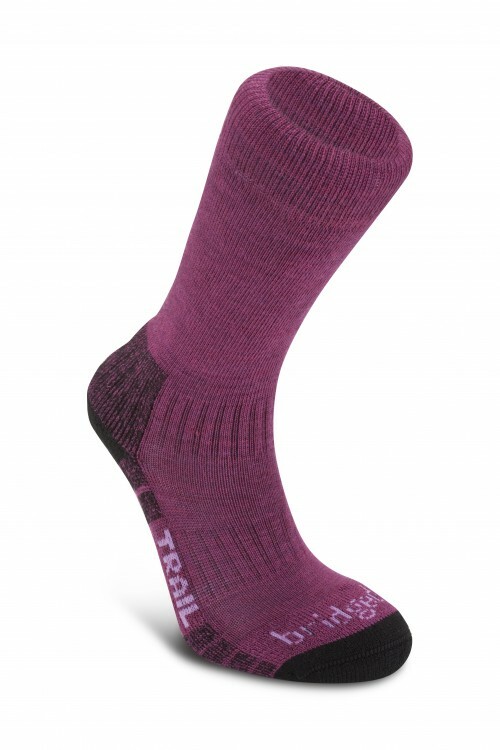 Light and low sock designed for everyday activities and warm weather day-hiking. 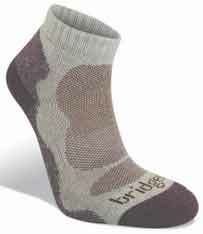 Bridgedale WoolFusion® ensures dry, comfortable feet both on and off trail. 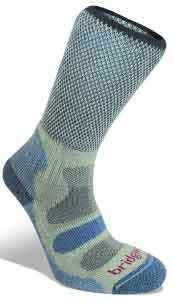 •Light padding underfoot, mesh above. 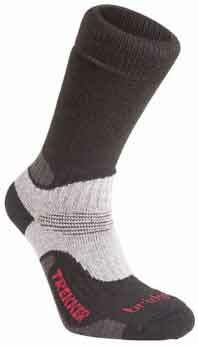 All-day comfort for activities in warm or hot environments. Typical activities: adventure travel, fitness or Nordic walking, and day hiking. 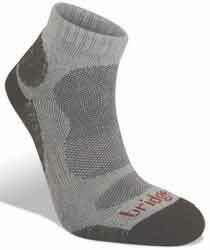 Hybrid construction provides excellent protection and venting exactly where needed. 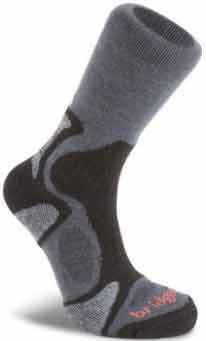 T2 anti-compression cushioning at achilies, heel and metatarsal head. 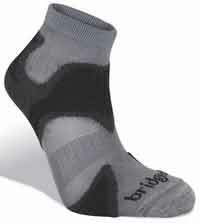 •Enhanced shin & ankle protection. 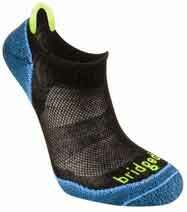 Targeted cooling ventilation exactly where needed. 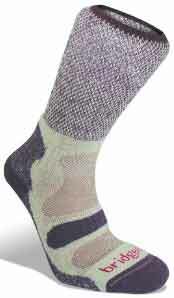 T2 anti-compression cushioning at achilies, heel and metatarsal head. 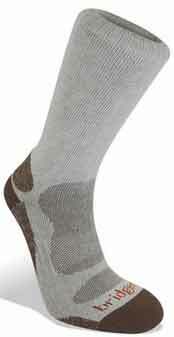 Light, breathable and close fitting. 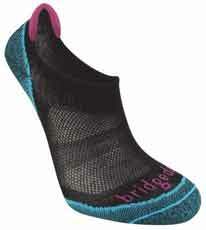 Light mesh permits air circulation whilst cushioning under heel, ball and toes provides protection. 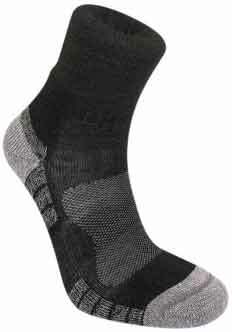 •Breathable mesh and forefoot protection. 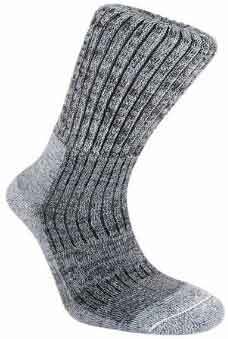 •Light padding underfoot, rib-knit above. 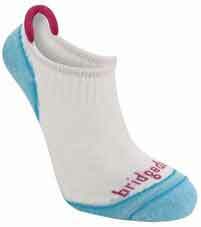 Soft and comfortable for younger feet. 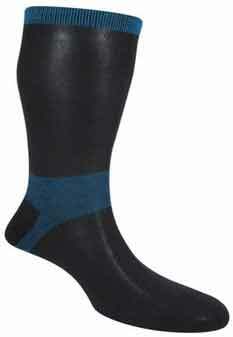 Mapped T2 anti-compression for impact protection. 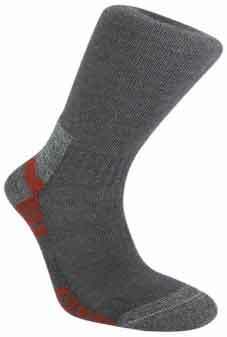 Junior sizing with slim design for a great fit. 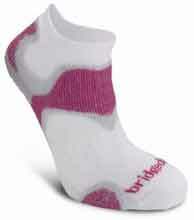 Light and highly breathable. 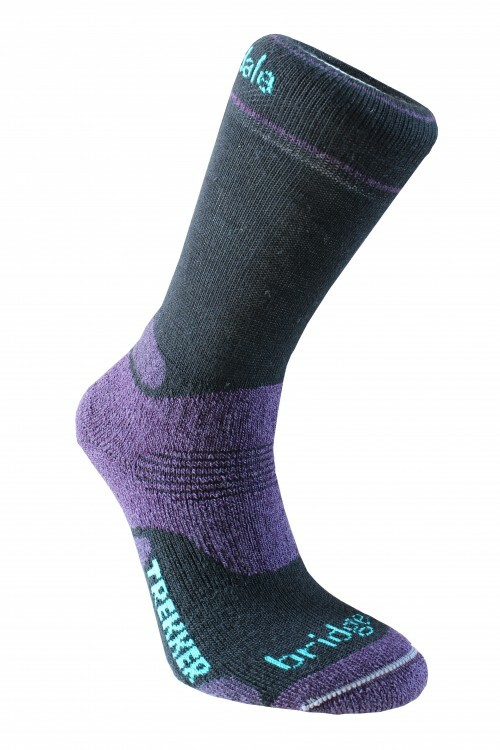 Mapped T2 anti-compression cushioning for impact protection. 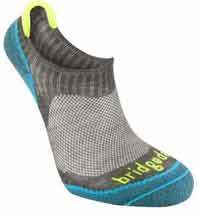 Targeted ventilation keeps feet cool. 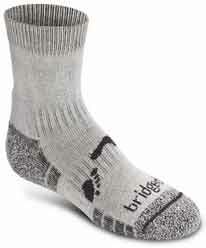 •Fine knit toe box for improved fit. 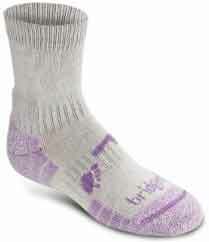 •Ultra light Tactel mesh for fast wicking. 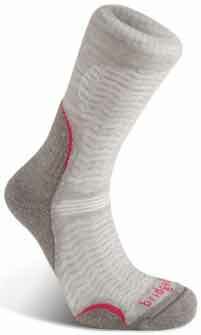 Fine knit toe box for improved fit. 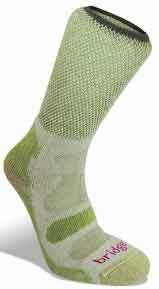 Ultra light Tactel mesh for fast wicking. This cool, comfortable sock is knit using a combination of Viscose from Bamboo and Coolmax® this offers cushioned comfort for lifestyle, sport and everyday activities. 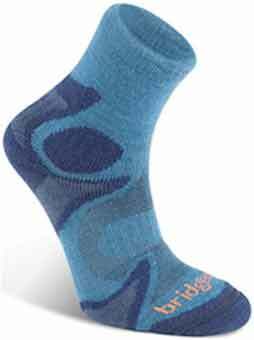 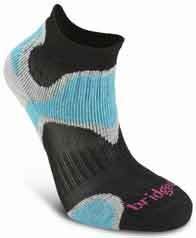 Bridgedale unique construction ensures moisture is wicked away leaving the socks feeling silky soft and you feet comfortable all day. 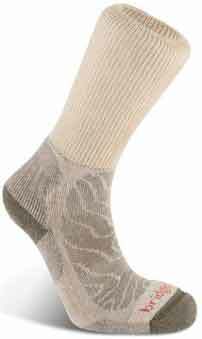 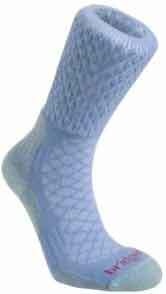 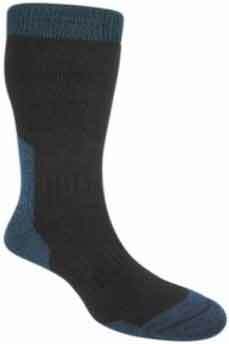 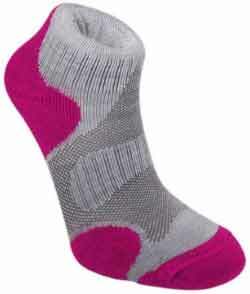 This cool, comfortable Women's sock is knit using a combination of Viscose from Bamboo and Coolmax® this offers cushioned comfort for lifestyle, sport and everyday activities. 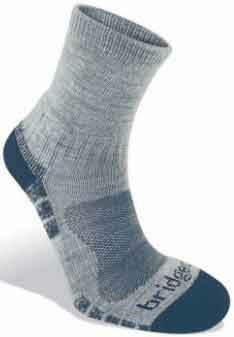 Bridgedale unique construction ensures moisture is wicked away leaving the socks feeling silky soft and you feet comfortable all day. 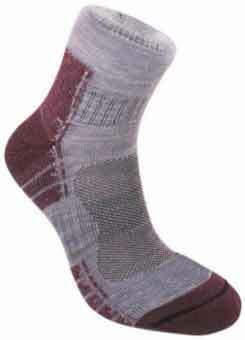 This cool, comfortable low sock is knit using quick drying bamboo yarns. 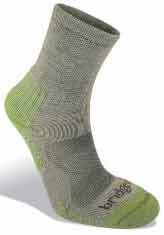 Bamboo feels silky soft and keeps feet feeling fresh with it’s naturally anti-microbial properties. 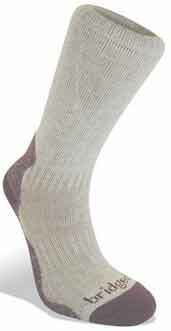 Bamboo and Coolmax® wick moisture away from your foot giving lasting, all day comfort. 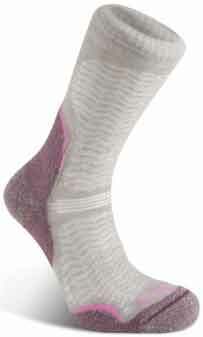 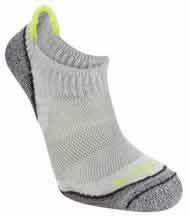 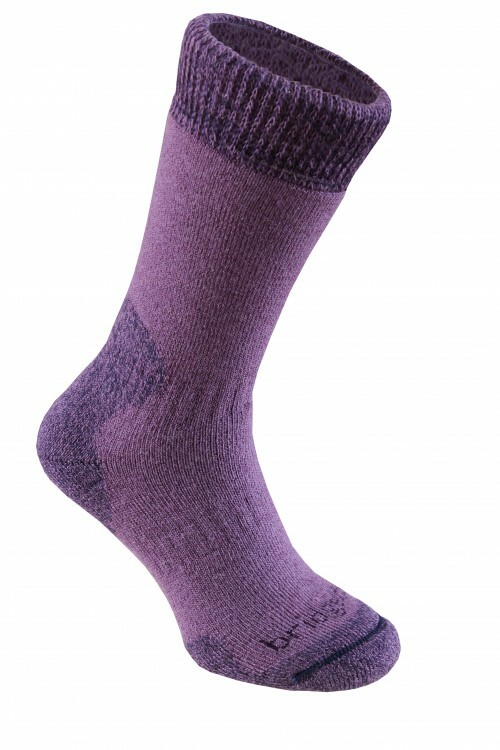 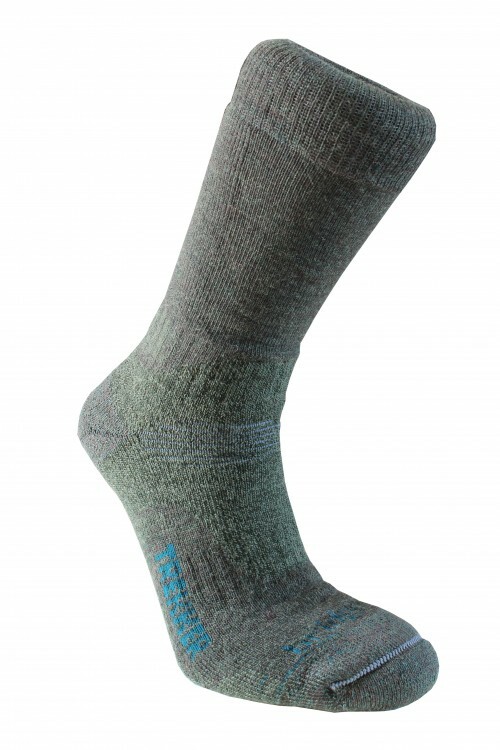 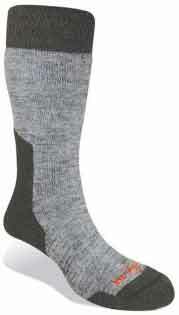 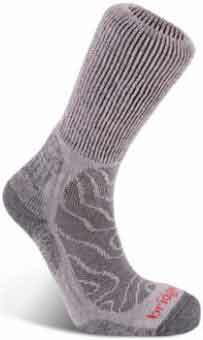 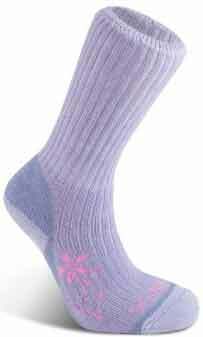 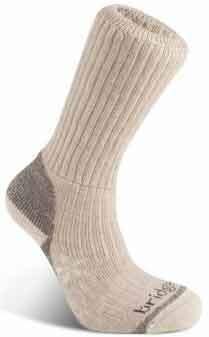 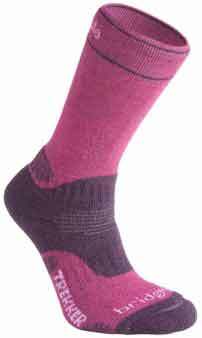 This cool, comfortable women's low sock is knit using quick drying bamboo yarns. 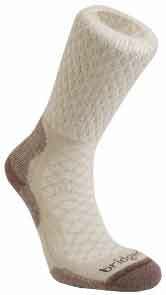 Bamboo feels silky soft and keeps feet feeling fresh with it’s naturally anti-microbial properties. 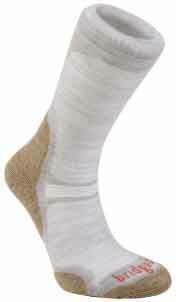 Bamboo and Coolmax® wick moisture away from your foot giving lasting, all day comfort. 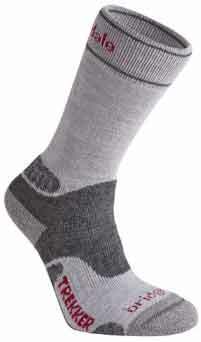 Extra-fine, plain knit with Lycra fit. Coolmax - extra comfort next-to-skin. 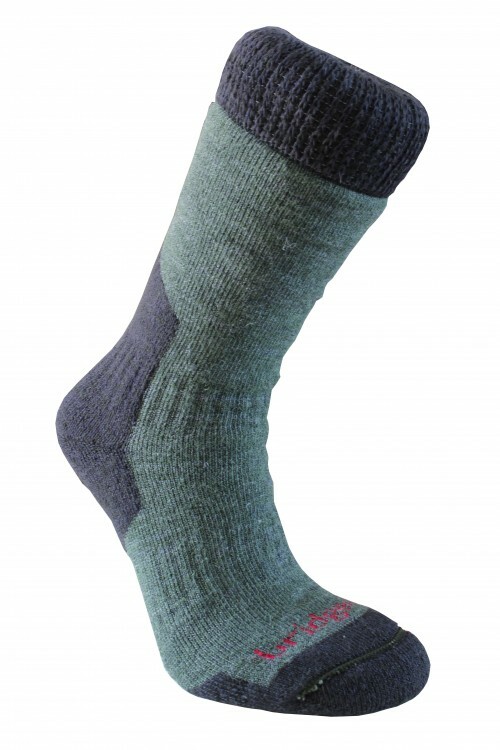 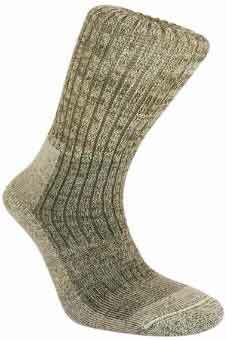 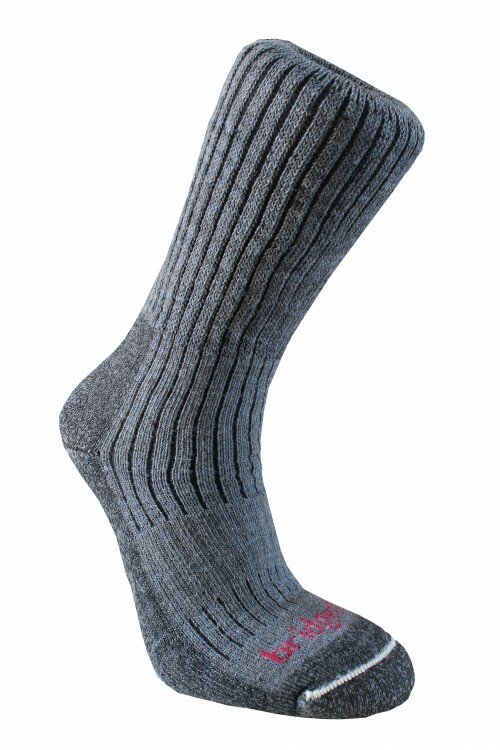 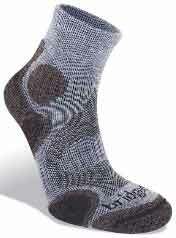 Moisture wicking fibres knit against the skin trap warm air, keeping feet wrm and dry. 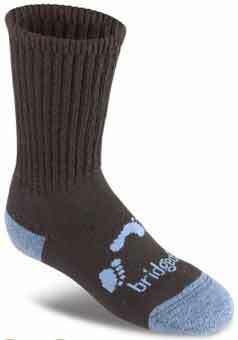 Recommended to be worn under other Bridgedale socks in extreme conditions. Endurofil - reinforced heel & toe. 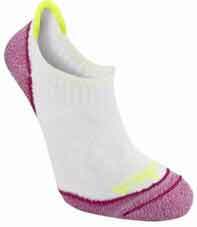 Woolfusion - light terry comfort, healthy feet.